Unlike many conditions, there is no available blood test, diagnostic imaging scan, or other medical tests that can definitively diagnose autism spectrum disorders . Despite this, diagnosing autism as early as possible is imperative. When parents receive an autism diagnosis early in the child’s life, they can quickly arrange for early intervention services that will support the child during the crucial years of development. Typically, the process for diagnosing autism spectrum disorders begins with parental or pediatrician observations of developmental delays. Although your family’s experience may be different, the diagnostic process for autism may start with an appointment with a pediatrician. During your child’s regular check-ups, the pediatrician is likely to ask you some basic questions about his or her development. While some variations are to be expected, significant delays in motor skills, social skills, language acquisition, or other areas of development may warrant further evaluation. In other cases, parents become concerned about their children’s development and they may bring these issues to the attention of the pediatrician. Parents who are alert to the possible signs of autism can contribute to an early diagnosis. If the pediatrician finds that the child’s development raises concerns, he or she may refer the parents to a behavior analyst. However, even if the pediatrician is not overly concerned about the child’s development, parents can certainly talk to a specialist regardless. Behavior analysts can conduct an in-depth evaluation of the child’s ability to follow the rules of conversation, understand the ambiguous use of non-literal language, use and interpret nonverbal communication cues, and use communication appropriately within a social context. If the child is found to have an autism spectrum disorder, the behavior analyst can use the findings of the evaluation to inform the autism therapy recommendations . Parents who are concerned that their children aren’t developing at a rate that is on target for their age range can contact The Behavior Exchange. 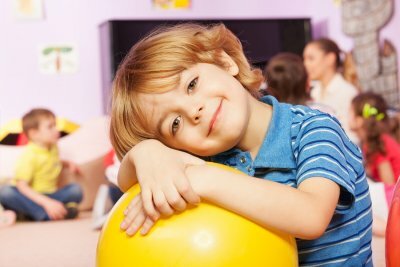 We are an ABA school near the DFW area that provides comprehensive and compassionate evaluation and intervention services based on evidence-based techniques. Parents can reach us by calling (888) 716-8084. Autism spectrum disorders (ASD) may be indicated by developmental delays. For example, a child with autism may be slow to babble and acquire language skills. All children develop at their own paces. Slight deviations from the expected childhood development milestones are not necessarily a cause for concern. However, it’s advisable to share your developmental concerns with a specialist sooner, rather than later, given that early intervention is crucial for fostering a favorable outcome in children with autism. Often, the child’s pediatrician is the first person that parents will consult regarding potential symptoms of autism. Pediatricians have a thorough understanding of typical developmental milestones and can determine if your child may benefit from an autism screening. Another step to take is to look for an ABA therapist near you who can evaluate your child for autism. Ahead of the evaluation, you may wish to write a list of your concerns and observations of your child’s developmental issues . Let the ABA therapist know, for instance, if your child refuses eye contact or is behind on language acquisition milestones. You should also inform the therapist if your child was progressing typically, but then began experiencing a regression. If your child does have autism, you should be aware that there are support services available for your family. Your child’s ABA therapist can assess his or her unique needs and limitations, and develop personalized recommendations for your family. Early intervention can help your child overcome obstacles to making friends, behaving appropriately, and progressing in school. Parent training classes can help your family understand how best to respond to various situations and encourage desirable behaviors in your child. The Behavior Exchange provides ABA therapy and extensive support services for families affected by autism. 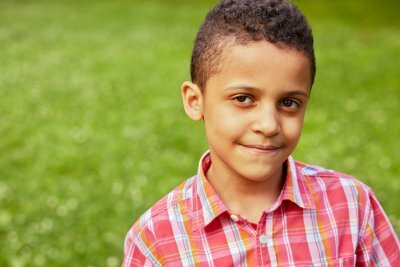 If you’ve noticed possible signs of autism in your child, you can schedule a consultation with one of our friendly specialists today. Call our ABA school near Plano at (888) 716-8084 or visit us on the Web to learn more about our services. 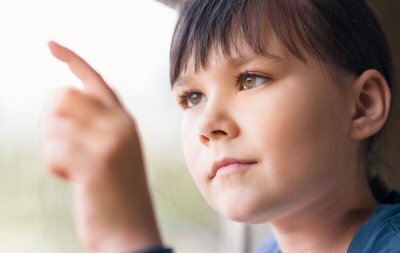 If your child has been diagnosed with autism, you may have a number of different questions about this disorder and the ways to cope with the challenges it can present. It is important to work with a doctor who will take the time to answer all of your questions, since every child will have unique needs that will not have a one-size-fits-all solution. Below, you can see a few of the questions you might discuss with your child’s pediatrician or psychologist to guide you to the right solutions for managing autism symptoms. How can I encourage communication skills in my child? Communication is not only a challenge for children with autism, but it may be a tough barrier for parents too. It can be hard for parents to feel close to their children who do not frequently engage in conversation, so you might work with the doctor to explore communication strategies that work for your family. Can my child attend a regular school? Schooling decisions will vary, depending on how much difficulty your child has with social and behavioral skills. When children participate in applied behavioral analysis therapy, they are more likely to build the constructive habits needed to succeed in the regular school environment. If your doctor does not advise regular school for your child, you will want to ask about alternative solutions that can ensure a good education. 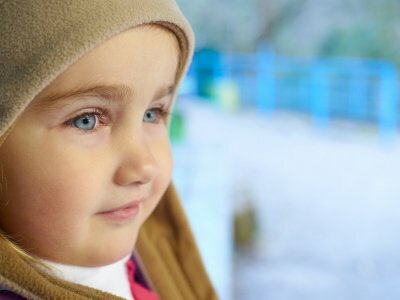 Are there ways to help my child get more sleep at night? Autism is often associated with difficulty sleeping, which may be controlled through a more consistent sleep schedule and exercise routine. There are a number of factors that can influence sleep, so work with your doctor to explore the best strategies for encouraging better sleep at night, which can in turn reduce daytime crankiness. With The Behavior Exchange in Plano, you and your child can learn productive methods for coping with the challenges of autism spectrum disorders utilizing proven therapies and social activities. To learn more about our programs for toddlers and school age children, give us a call at (888) 716-8084. There are three primary areas in which a child with autism spectrum disorder (ASD) might struggle. They are speech and language, behavior, and social interaction. However, not all children with autism will necessarily experience deficits in all of these areas, nor will they experience the exact same challenges within these areas. When a child begins to display the symptoms of autism , an ABA therapist can evaluate the child before developing a customized therapy plan to address his or her specific deficits. Parents of children with autism may observe atypical behaviors in their child . Some children may have repetitive body movements, such as spinning or hand flapping. Others may display an atypical posture or seem awkward with physical movements. 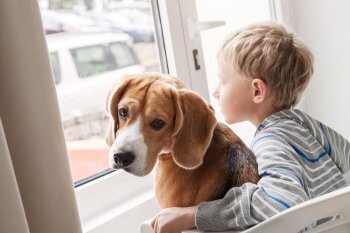 Many children with autism become unusually attached to a specific routine and may experience difficulty adapting to any changes in the routine. The same applies to their environment; children with autism may need to have their toys arranged in a certain manner. Some children with autism become fixated on one narrow topic of interest, such as train schedules or sports statistics. It’s common for children with autism to experience speech and language deficits. These can vary widely in intensity. Some children may not speak at all or may have significant speech delays. Children who are verbal may have difficulty initiating, maintaining, and ending a conversation appropriately, and they may interpret abstract language in a literal fashion. Parents might notice that their kids have an odd rhythm of speech or tone of voice, or that they repeat the same words regardless of meaning and context. Social interaction can be difficult for children with autism. Though they may want to make friends, they may not understand how to do so. Some children with autism may prefer to play by themselves, rather than with others, and they may display little interest in what other people are doing. They may also have trouble interpreting body language and facial expressions. Does your child display some of the signs of autism? You can find comprehensive support services at The Behavior Exchange , where it’s our mission to improve quality of life for families and to help children with autism symptoms reach their full potential. If you have any questions, call us at (888) 716-8084 or browse our website to learn more about our services, including individual and group therapy.